We will visit the very Flemish cities who have best preserved their Medieval spirit: Gand and Bruges. 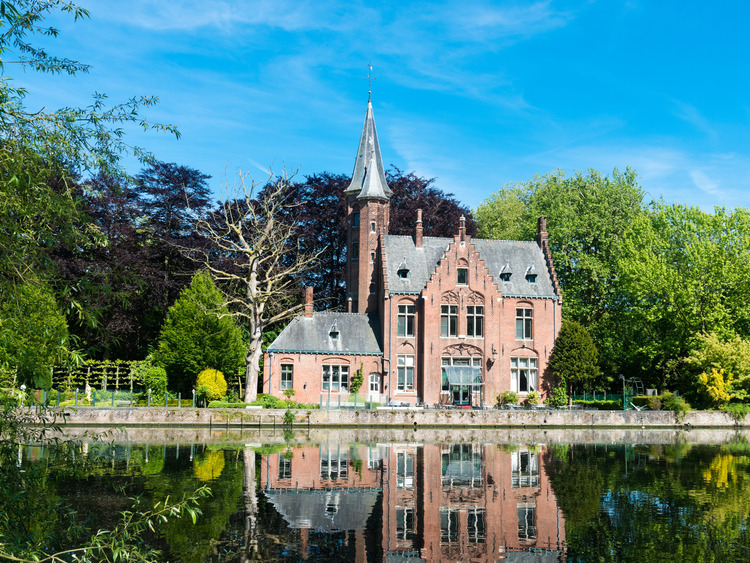 The boat tour on the canals of Bruges will finish up in perfect fashion with an unforgettable journey into the realms of beauty. Our walk begins from St. Michael's Bridge, Ghent's most monumental bridge, from where it is possible to enjoy a breathtaking view of the city. We will admire the Belfort or civic tower, a symbol of public power. Built in 1313, it was used to store the city's treasures and archives and also served as a watchtower. Finally we will visit Saint Bavo Cathedral, the most important religious building in the city and a splendid example of Brabantine Gothic architecture. Inside, it is possible to admire the precious Baroque wood pulpit, the piece by Rubens, The conversion of Saint Bavo (1624), and the very famous Adoration of the Mystic Lamb by the Van Eyck brothers, a piece created using one of the most important oil techniques in the world. We will re-board the coach for Bruges, or Brugge in Flemish, often named "Die Scone", "the beautiful". Smaller and more concentrated than most other Flemish cities, it immediately brings us back in time, blowing us sway with its Medieval charm. The guide will lead us through narrow and windy cobbled streets, and show us picturesque ancient buildings, the most evocative canals and the well looked-after façades enriched with gables and pediments. The highlight of the tour is the canal boat trip. A truly romantic half an hour of navigating the calm waters of the canals to admire this magical city from a privileged and novel position. We will have some free time to wander and lose ourselves within the various alleys or to visit the numerous lace and chocolate stores found all over Bruges. The guide will lead us to the romantic Minnewater, the "lake of love", a navigable lake nestled in an idyllic spot. From the bridge created in 1740, it is possible to enjoy a beautiful panoramic view of the city. The excursion involves long periods of walking, it is therefore recommended to wear comfortable shoes.